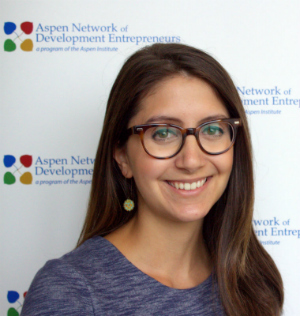 Mina joined ANDE as a Program Coordinator in July 2015. She has experience providing operations, development and casework support to a range of non-profit organizations working to end social injustice. Most recently, she worked at Women Thrive Worldwide, a leading policy and advocacy organization that brings the voices of women and girls to global decision makers. She holds a Bachelor’s Degree in Foreign Affairs from the University of Virginia, with a minor in Studies of Women and Gender.